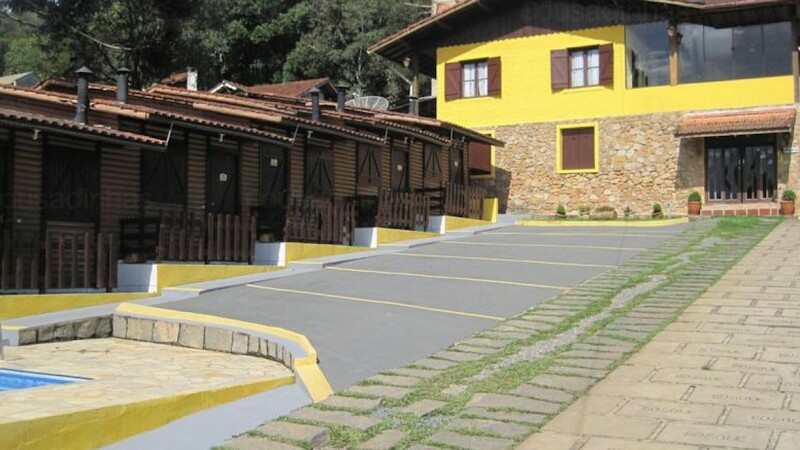 The Grove Inn in Monte Verde - Minas Gerais - is situated 700 meters from the center. The inn has an outdoor pool, WiFi, parking, garden, room service, 24 hour reception, TV room with DVD and a delicious breakfast with local delicacies. The hostel is very nice! Quiet place and with a very good service, making us feel at home. Has off-street parking, and the structure has apartments and chalets. Has a cinema with 100 inch screen and a small video store that you can choose the movies and take to the cabin to watch. By the way, the cabin is spacious and very comfortable. A fireplace warms the room on colder days. The breakfast is served on the second floor of the reception, and has a quiet and comfortable environment for the first and delicious meal of the day!